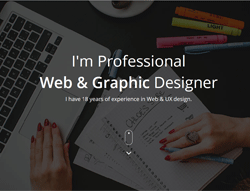 Personal Resume/CV is a one page template with clean responsive design. Well organized and commented codes will help to customize the template easily. It also has a very nice animation. Being developed on Bootstrap Framework 3 makes it responsive in order to have the best view possible on mobile devices.